Virtual racing on Zwift is faced with many challenges, and this isn’t a surprise: it’s a young platform with an unproven business model. At the same time, virtual bike racing opens up new opportunities with its accessibility, reduced injury risk, gamification potential and much more. Although racing has been a part of Zwift since its early days, we are only now beginning to see it gain real prominence in the cycling world as pros engage, governing bodies endorse, and the user base expands. Now is a prudent time to examine this platform’s challenges and opportunities so we can work together to overcome the obstacles early and capitalize on the strengths. This is the first in a three-part series exploring Zwift racing’s challenges and opportunities. Today we will focus on spectating Zwift races. What’s working, what isn’t, and how do we fix it? Challenge: How Do I Watch It? 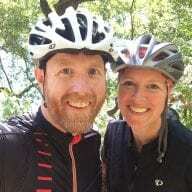 Even though there are multiple race broadcasts each week, we still have no central schedule of upcoming Zwift race broadcasts. This is growing pains, the product of most race broadcasting being a grassroots effort with insufficient manpower/funding. And I’m confident this will change as Zwift continues to grow the racing segment. But for now, the simple truth is that a certain number of viewers never watch the live streams because they don’t know about them. And that’s a pity, because getting the word out is the easy part. Today’s technology makes streaming high-quality Zwift races affordable and easy. It doesn’t take much in terms of hardware to set up a decent broadcasting rig, and that stream can be broadcast free over YouTube, Twitch, Facebook, and other services. No licensing rights to purchase, no Internet bandwidth to lease. This means spectators should have access to Zwift race live streams wherever and whenever they want them, at no charge. On my smart TV, my phone, my computer? Yes, please. The only thing missing here is a central calendar of quality upcoming race streams. List the upcoming races, each with a link to click and watch. And send out email alerts while you’re at it. Who’s going to build it? Or perhaps (better) it could be included in Zwift Companion? Challenge: Who Are These People? But this is Zwift. A land of (mostly) unknown amateurs. And until spectators get to know some of the racers, watching a Zwift race will remain a somewhat disconnected, dispassionate affair. I have no doubt that some of our community’s amateur “indoor specialists” will gain more notoriety than many pro riders as more eyes reach our platform in the coming years. Let’s tell their stories. If race broadcasters could better connect their viewers to the racers, they would build a much more passionate and dedicated audience. It may not be easy to weave several compelling personal storylines into a 45-60 minute race broadcast, but making an effort to do so will surely pay off. Other media also provide an opportunity to feature the stories of racers. Interviews here on Zwift Insider, posts about athletes on Zwift’s corporate blog, and good ol’ ZwiftPower stats all provide much-needed windows into the stories behind the avatars. It’s easy to turn off a race stream when you don’t have a hero in the front group. Let’s make some heroes. The term “live Zwift race event” may seem like an oxymoron, but it’s actually far from it. I attended CVR World Cup Los Angeles at the VELO Sports Center last March, and it was fun! That said, what made it fun for me was interacting with the racers, cheering them on and even giving some of the less experienced riders advice as they approached certain parts of the course. This is doable when you have 10 racers and 50 spectators, but it doesn’t scale well. Would I want to sit “in the stands” and watch Zwift racers on stage? Sure, if the stakes were high. But I wouldn’t pay much money or spend time traveling to do so. Will Zwift racing ever have the pull of the Tour de France, with its claimed 12 million roadside spectators? Of course not… it’s a physical impossibility. Will it ever fill an e-sports arena? Perhaps. But focusing on live spectators is the wrong approach. 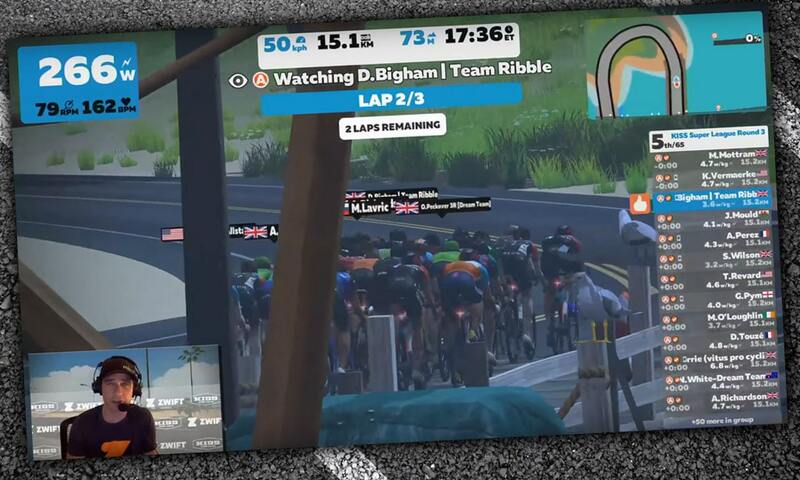 Live streaming can bring the Zwift racing experience to a massive, global audience. Anyone with an Internet connection can watch Zwift races, and if the broadcast is compelling enough they will do so. Zwift must surely understand there is huge marketing potential here as well. We all have cycling friends who could benefit from Zwifting but haven’t given it a try yet. Get those folks to watch a quality Zwift race stream and they may just go out and buy a smart trainer the next day. So focus on getting Internet viewers, and only worry about live events if they somehow make the Internet viewing significantly more compelling. Let’s face it: nobody wants to watch a Zwift race unless something is added to it. Avatars by themselves are only exciting if you are one of the avatars. Zwift Community Live’s Nathan Guerra understands this, and he works to bring in other elements including post-race interviews and additional commentators. But we need more. We need to see and hear the real people behind the avatars. If broadcasters can’t handle pulling up live streams of racers for a picture-in-picture view of the action, perhaps a live streaming site could be created which lets viewers choose from a variety of live webcams while the main broadcast audio and video continue to play. I’m not sure what the best solution is, but I know there’s one out there. At this point, broadcasters don’t have much more to work with beyond just watching other riders from within the Zwift game. Unlike outdoor races where riders position themselves in the draft and hold a wheel, Zwift pelotons are constantly churning, making it very tough to pick out who’s who. The constantly-changing rider list on the right doesn’t help much either. Is Rider X off the back? Off the front? In this pack? And what pack are we even looking at right now? Sometimes these answers are obvious… other times they are not. All of this information is available, if you know where to look (*ahem*… ZwiftPower… *ahem*) but Joe Spectator won’t know that. Spectators need a screen which lets them immediately, intuitively understand what is going on at any given time during the race. They shouldn’t see a message about “watching” a particular rider at the top of the screen… but at all times they should know what group or portion of the race we are currently watching, and how much distance is left. Some races end with a simple, “Well, here’s who won. See ya folks!” Sometimes the end result is a bit of a question mark, if a rider’s power numbers seem dodgy. (More on dodgy numbers in part three of this series). The important thing here is that, at the precise spot where spectators should feel the most excitement, things can just… fizzle. This isn’t every time, but it happens often enough that it’s an issue. We need a definite winner (or even a full podium) and we need to connect with those winners on a deeper level. What if a race ended, and immediately on screen we saw the winner’s name and final stats? What if there were other stats, perhaps for the rider with the highest 20-minute power, or advanced numbers like the rider who burned the most matches, or won the sprint competition, or…? The important thing is to get those results and metrics up quickly, and make them interesting and impressive. Lastly: get that winner (or the whole podium) on a webcam and talk to them within 5 minutes of the finish. Make that connection! It’s still early days for Zwift racing, and this is evident when spectating races. Live streams are still hard to find, difficult to follow, and impersonal if you’re not plugged into the Zwift racing community. Still, there are big opportunities here to reach and engage a massive, global audience. If people will stand on the side of the road for hours just to watch the pro peloton fly by, they’ll certainly tune in to watch a short Zwift race…. but only if they can connect with the real riders and follow the action as it unfolds. I’d love to hear your thoughts on the challenges and opportunities Zwift racing holds for spectators today. Share below! Nice post! But I disagree with point “Opportunity: Metrics to the Max: We have all the important data on all the riders, throughout the event … Time gaps between riders/groups”. I feel that time gaps are very misleading because (I suppose) time gaps are calculated based on distance on riders and raw speed difference between them. In the race #2 Hopper had ~45 sec gap on flat but as soon as he started a climb this gap diminished to ~20 sec. After Hopper started descending while chasing bunch was still climbing – and gap grew again. Great timing. I was just asking around because something has changed in Zwift with even visiblity. You can no longer see riders in an event while you are free riding. This seems to be a new feature in the last few weeks. Unless you join an event pen you are no longer able to follow the action. This is unfortunate as I used to free ride the same course as races and call the race on stream while I was riding. This is no longer an option. Also if you have problem mid-stream while calling a race (watcher bugs losing riders) you can no long restart and ride with someone in the race and get back to the action. This also presents a problem for some team style racing and KSL. Unless your DS joins the race pen they will not be able to view live action and provide racing instructions. Hopefully we can have some robust watcher tools soon as right now it is getting very difficult to spectate races or bring them to live streams as we lose this visibility from the open world. Excellent summary of the issue, and I agree that it starts with simply getting the word out about upcoming events. For the past 3 weeks, I have searched endlessly for the times of the next KISS super league race…but unable to find ANY posted schedule (FB, KISS website, Zwift.com, ….). They will not even reference the next race time in the post race coverage blogs. I’ve resigned myself to the fact that I’ll have to wait until a post race analysis is linked to your site or FB Zwift Racers, and watch the pre-recorded live stream. Actually, at this point I’ve simply lost interest, its not worth the effort. For such a crucial entry into Zwift Professional racing, they have rally failed at creating any opportunity to engage the community and create a fan base. Nathan does a great job despite ZERO resources from the platform. Where exactly is that 120 million going? i watched my first live race which i just happened to stumble across not too long after it started. With the Zwift Companion App, i was able to see the leaders or even just whoever Nathan was watching and throw a Ride On their way. i agree with much of what was said above. Logistics of webcams does seem like it’ll be the difficult but not impossible. How long did it take for TdF to get telemetry data into their broadcasts? But personalities will be good to focus on to help get familiar with the riders we’re watching. That being said, Kudo’s to Nathan on his enthusiasm and calling of the race. In 2 races an individual rider took a small lead just before the ascent at the end of ocean boulevard. Despite churning out similar watts as the bunch they both were left behind after the ascent and couldn’t return to the group. Speed difference at the ascent was such that they were not included in the draft. Feels like a flaw in the software too me. -It frustrates me the last 2 races live coverage starts after the riders already left the start line. Feels sloppy and rushed. So much happens right off the start this seems super important. I want to know who is lining up and who is missing? -Absolutely agree either a live web feed or even at least a text message short interview of the winner/podium guys would be super engaging and interesting to hear. It was funny to hear the Wiggins team questioning after the first race whether people were weight doping right from the beginning. 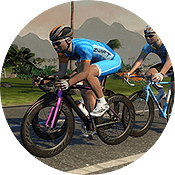 -I appreciate telling us how zwift works because I am sure some people don’t know – but this is very annoying during the race – tell us before the race. I can’t imagine very many people watching not knowing about zwift before hand and how it works. Or provide a link to how zwift racing works. I really want to see a dedicated spectator mode for zwift events. I think these would be a lot of fun to watch even if they don’t have an announcer or if i wanted to call a race as it happens and stream that. I think this could be a lot of fun and drive some interest in to zwift. I currently do not find anything about people racing on Zwift compelling enough to make me want to sit down and watch as a spectator. It just seems two-dimensional with none of the complexity and challenges of outdoor road racing. Now actually participating in a Zwift race, that’s a whole different story …. Regarding “no Internet bandwidth to lease” for streaming… upload speed is what’s important to livestream and an added expense for some of us. While my 1mb/s upload is adequate for normal use, it doesn’t cut it for live streaming. Next step up is an additional $15/month.